Daily Debate: Is Speed or Power More Useful for Melee Weapons in Breath of the Wild? It’s no secret that Breath of the Wild definitely switched things up when it came to inventory. With numerous melee, bow, and shield options to track down and collect, Link never seems to be in short supply of arms and armament. Obviously, every piece of equipment he collects has its drawbacks to counter benefits: a Royal Guard’s shield absorbs one heck of a punch, but it sorely lacks in durability, breaking after a handful of hits. So, let’s focus a bit on this idea of balance, and how it played into the usefulness of melee weapons. 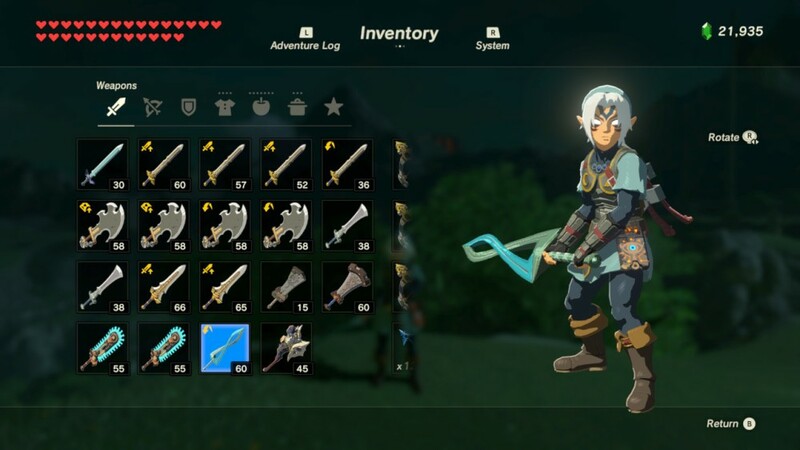 Single-handed weapons like the Lizal Tri-Boomerang, the Dragonbone Boko Club, the Royal Broadsword, and of course, the Master Sword, allows for speed in attacks, with less time needed to pull the weapon back and follow through. However, with the exception of the fully-powered Maser Sword, their attacks tend to max out at 60. On the other hand, you have the more powerful dual-handed weapons with higher base attacks, the Claymores, Edges of Duality, and the Crushers, that take so much longer to swing, and even longer to swing again. Personally, I tended to favor single-handed weapons, preferring to be quick in my attacks and still protect myself behind a shield. But what do you say? Did you find attack power or speed and agility more useful? Let us know in the comments below!